Christmas doesn’t only come once a year for the Wahmhoffs located in Gobles, west of Kalamazoo. The holiday is strategically planned years in advance. Owners Dan and Ken, along with their siblings Betsy and Tom, grew up on the family farm and continue to work it to this day. Trees were first planted on the farm in the 1950s by Dan’s grandfather, Carl Wahmhoff Sr. and father, Carl Wahmhoff Jr. When Christmas trees grew in popularity in the ‘70s and ‘80s, the family harvested more than 100,000 trees per year on their 1,600 acres. 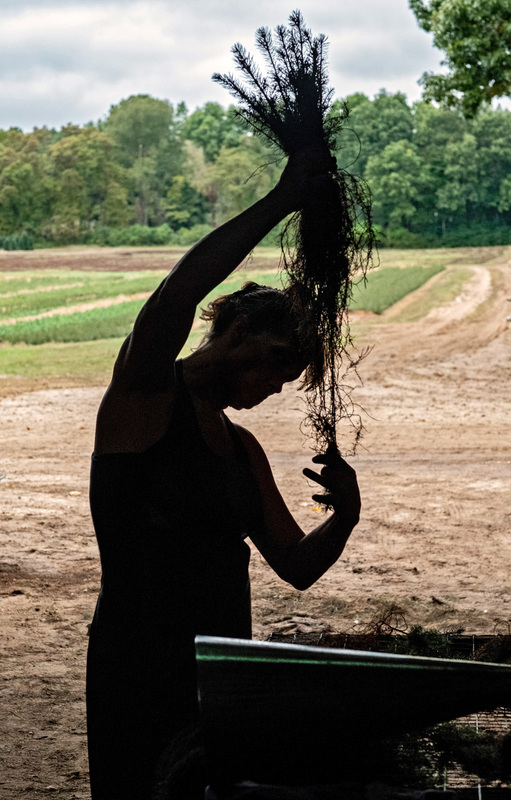 The farm has downsized to 1,000 acres but still produces between 50,000 to 70,000 trees in one year. Up to 10,000 trees can be harvested in one day. If you thought those numbers were large, picture this: The Wahmhoffs also run a seedling and transplant nursery with over two million trees in production annually. With peak season upon us, Dan shares his observations on growing up in a farm family business. We have a very close-knit family, and because of that, we share many family events together each year – whether it’s celebrating birthdays, family get-togethers or one of the annual family reunions. Christmas is a particularly special time of year for us because we celebrate our Savior’s birth. We all like to spend time together picking, cutting and decorating our Christmas tree – believe it or not, we still love our own tree. Christmas is still a very important time to our family, even though it can be very busy here on the farm. 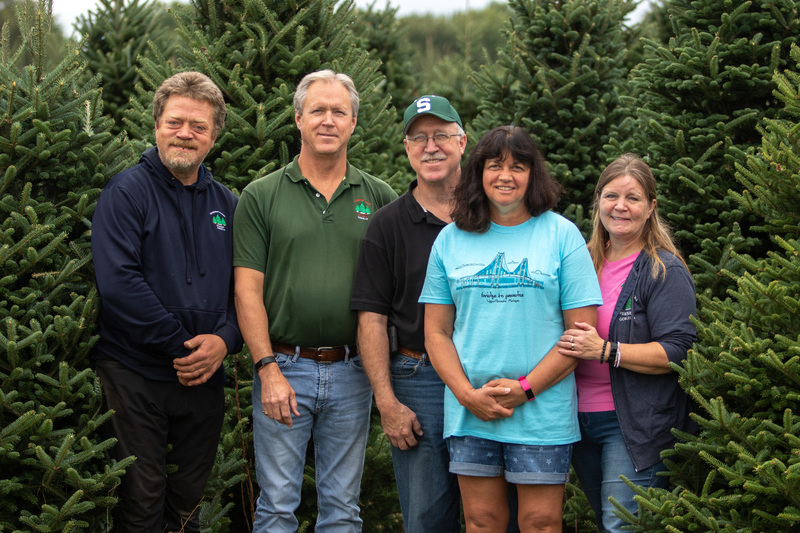 Wahmhoff Farms Nursery takes great pride in growing some of the best Christmas trees in Michigan. It’s a testament to our father/patriarch, Carl Wahmhoff, who brought us up to be competitive. As a family, we always compete at everything we do, whether it’s a family softball or volleyball game, a board game, a card game or whatever we might do. The same holds true for our Christmas tree growing – we like to compete. 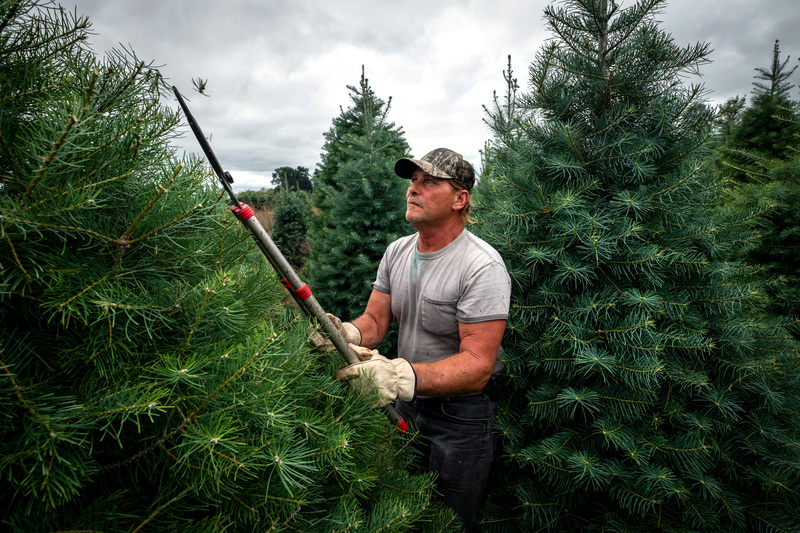 For this reason, we are the most awarded Christmas tree farm in Michigan over the past 30-40 years. In January and February, when we have a smaller crew. We complete office work, service and repair our machinery and do some preliminary field clean-up and preparation. We also have some of our trees trimmed during this time of the year. From mid-March through mid-May, we dig, sort, and ship nearly a million seedlings and transplants each year. We also dig and ship thousands of evergreen landscape trees from 4’-14’ each year. De-coning of the trees, trimming, tagging, mowing and spraying is all done during the summer and early fall months in preparation for the fall harvest season. We hire several local drivers and lease trucks and trailers for many of our deliveries within a 200+ mile radius. Deliveries further than 200 miles are delivered by various over-the-road haulers. We work with a number of dispatchers each season. 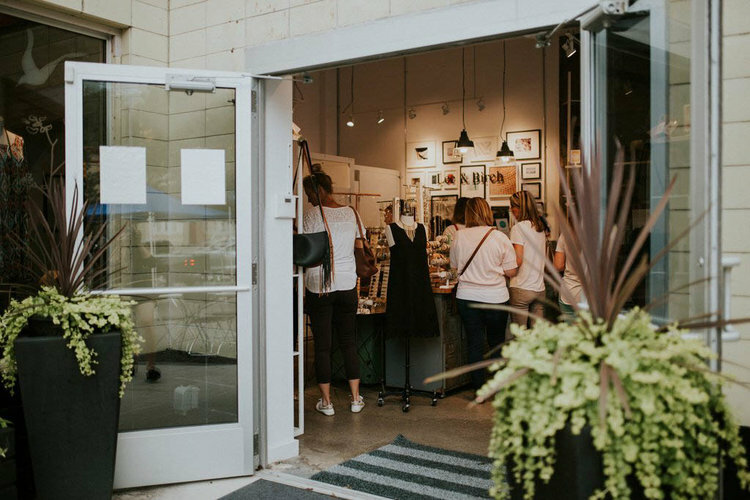 Most of the retailers we work with each year know their market and order what they expect to sell. There are typically not a lot of leftover trees. 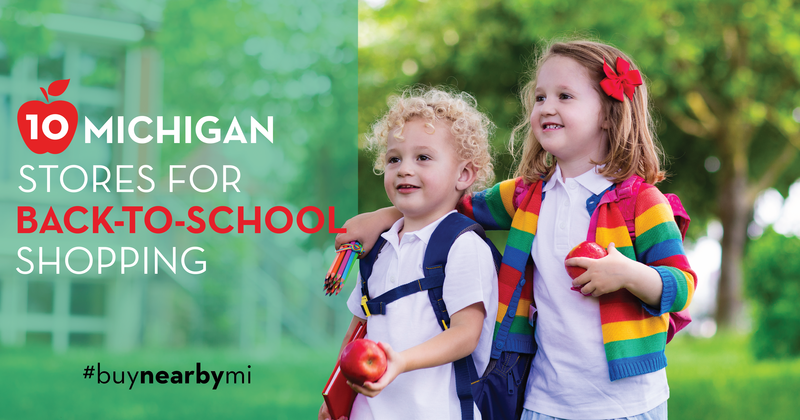 That’s also true for our retail lots in nearby Kalamazoo and Portage. We have been selling Christmas trees in these areas for nearly 60 years and have a consistent customer base and we usually have very few trees left over at the end of a season. If we do end the season with leftover trees, they are chipped and used as mulch. Others may be donated to other projects like wildlife cover or sunk in a pond or lake for fish habitat. It’s been about 20 years now. We’re always exploring additional sales opportunities, but this isn’t a large part of our business. We do sell a lot of other products online, so this just fit into our overall online sales plan. In 2005, when the National Christmas Tree Association’s Christmas Spirit Foundation began the promotion. We first participated in 2006, and have been a participant ever since. 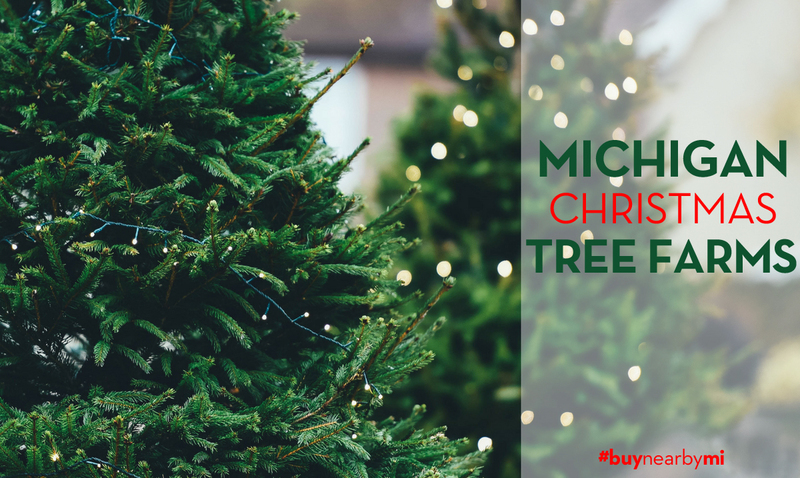 Michigan Christmas tree growers typically donate 1000-1,200 trees each year to this worthy cause, and we are happy to continue to assist with this effort. For the past 10 years or so, our farm has been one of the loading sites, and we often have nearly 100 volunteers present to help with the loading. It is truly a community effort. We’ve had the honor or presenting Christmas trees or wreaths to several of Michigan’s governors over the years, some more than once, as winners of the state’s Christmas tree and wreath contests. Success in national contests has allowed us to present trees to Vice President Biden and his family during his time in the White House. All of these awards and honors are important to our family, as well as to our entire crew, who take pride in the quality of the work they do all year long. 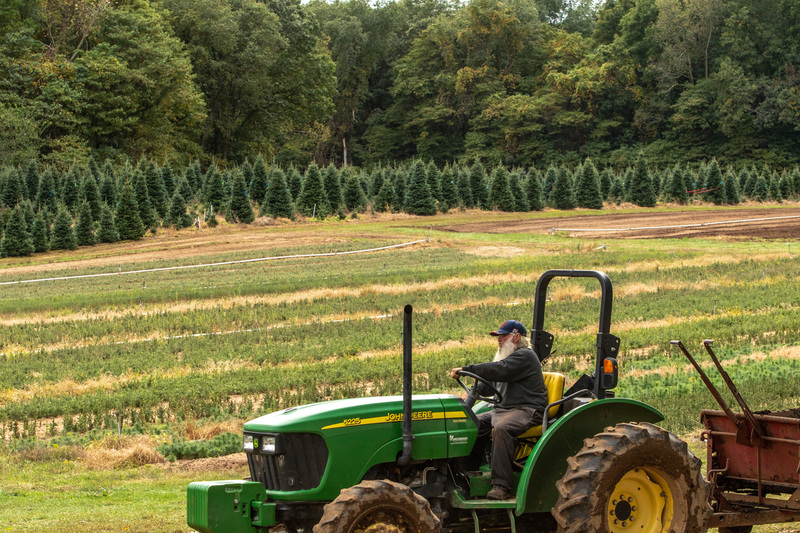 It’s particularly a testament to Tim Butler, our long-time field crew manager, who is responsible for the quality of our trees, as well as for selecting the competition trees each year. There have been future generation family members helping out on the farm every year, especially during the busy retail season. They take great pride in being part of our family business.